Coach has specially launched a premium collection of fantastic yet practical leatherware, which will surely bring your beloved more than unexpected bliss on this Valentine day. 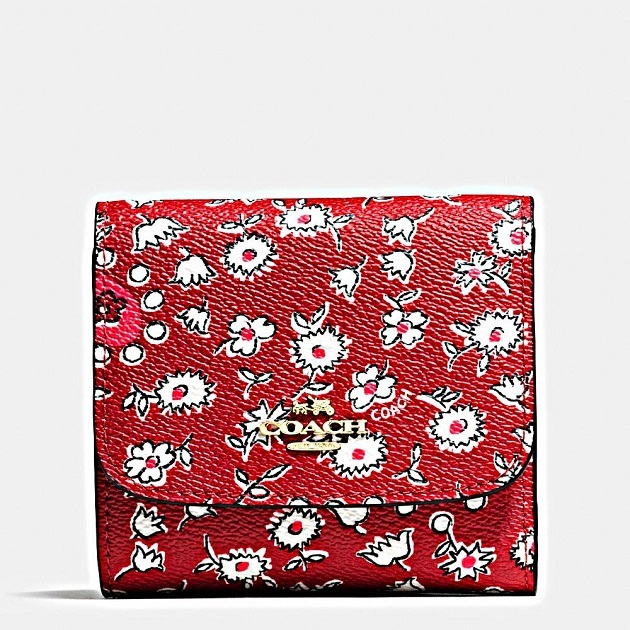 This brilliant red wallet with functional compartments comes in two sizes, and exudes elegance and sophistication through passionate red with pure white little flowers. Further adornment with hidden red hearts and red flower pattern represents mutual deep loving feelings between lovers. Western Rivets Page Crossbody Bag in beige is stylishly petite, yet it has sufficient room for accommodating daily girlie outing items. 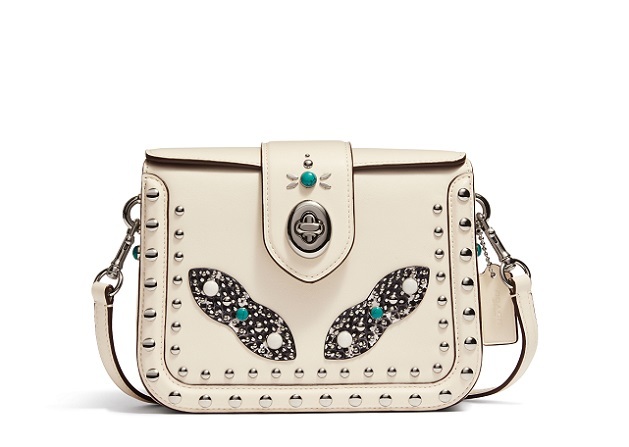 Production of this bag utilizes tanning, and enhanced by classic Coach rotary buckle, ornamental black and white snake pattern, turquoise, pearl cabochons and rivets, this embodiment of stylistic charm is an essential fashion accessory for any contemporary trendy lady. 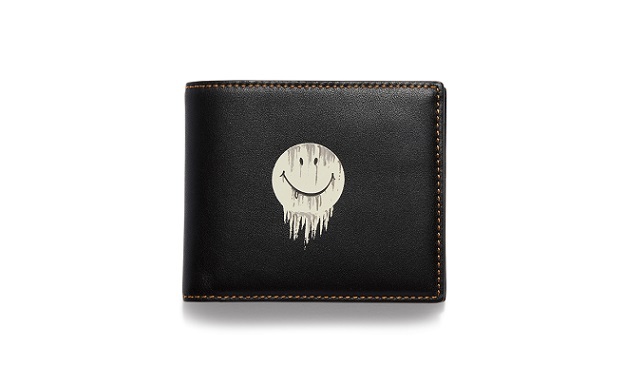 As for the guys, a pure black leather wallet is guaranteed fail-safe, but nonetheless a little too plain. 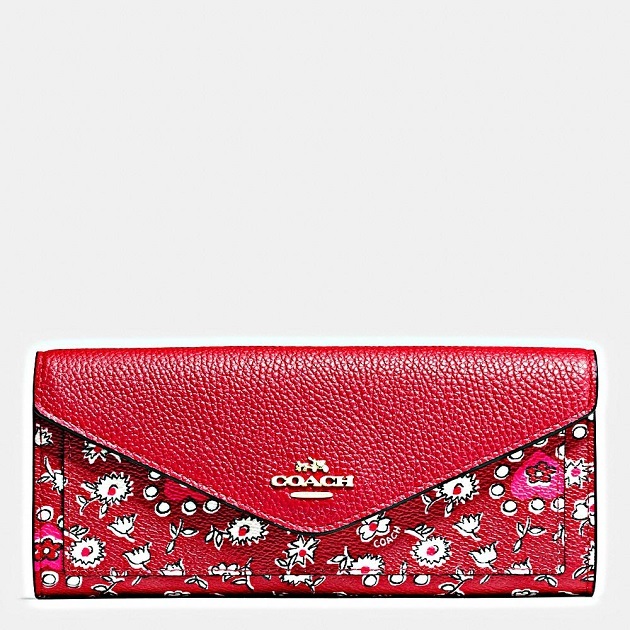 In this connection, Coach has added Gnarly face, which instantly invigorates aesthetics, with much playful connotations. Suitable for men at any age and in any kind of profession. 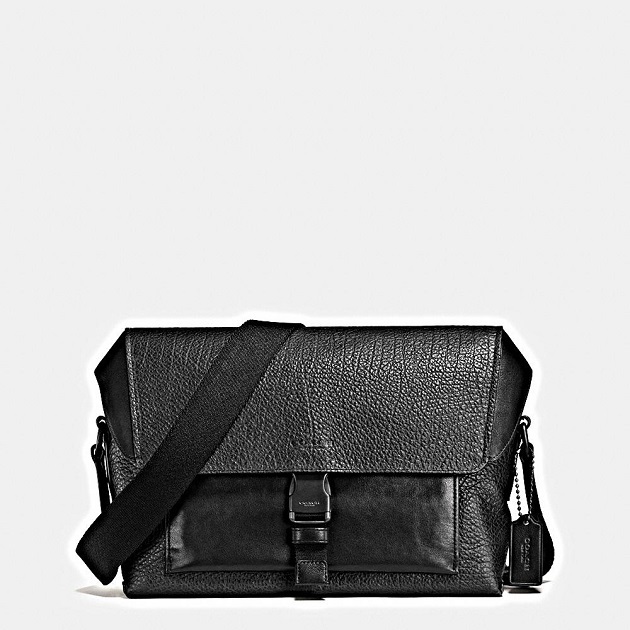 And just as totally black, a sophisticated collage utilizing different types of leather is the motif of the subtle Manhattan Bike Bag. Upon unbuckling this crossbody bag, a mini-outer pouch, also equipped with handy compartments, is always ready to carry everyday items. The adjustable long strap is specifically designed for varying indoor or outdoor scenarios, such as workplace, vacation, rural ramblings or cycling trips. Flag Backpack has always been a popular Coach signature, and this season's distinctively vivid contrast of black and white is geared for easy matching. This backpack has two main front and rear compartments, which are fitted with two respective zippers, and have ample room for all kinds of contents. Furthermore, a multi-purpose front bag, with ornamental leather straps and buckles, accentuates the cool styling of this backpack.